Award recognitions highlight the quality and diversity of SweetRush’s services, including learning strategy, blended learning, gamification, mobile learning, and video. 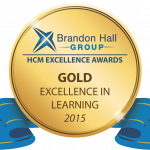 SAN FRANCISCO, Calif., September 21, 2015 – The Brandon Hall Group announced the winners of the Excellence Awards for 2015, including the overall categories of learning and development, talent management, and leadership development. 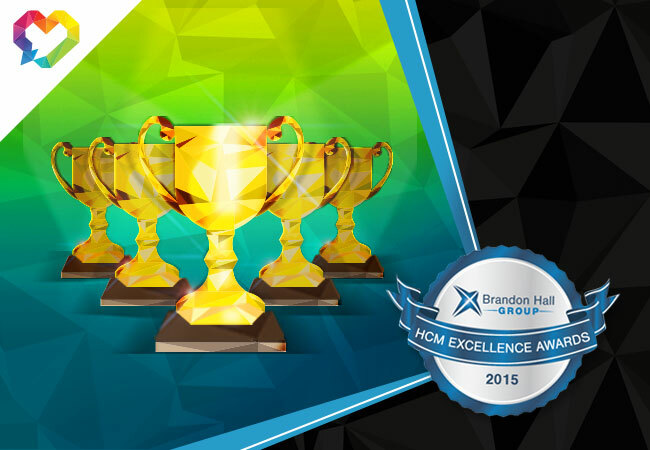 SweetRush is pleased to announce the achievement of five awards, and placement among the top overall winners for 2015. The award-winning projects are the product of fruitful collaborations with outstanding clients that are leaders in their respective industries, and placed their trust in the talent and creative work of SweetRush’s team. The specific awards speak to the breadth and depth of SweetRush’s services. From supporting a learning strategy that encourages internal advancement within a professional services organization, to creating a mobile gaming app that teaches servers at a famous restaurant chain how to create customized experiences for patrons, the award-winning projects represent effective solutions for wide range of industries, business drivers, and learner demographics. SweetRush brought home awards for learning strategy, blended learning, gamification, mobile learning, and training video. “Awards are gratifying, energize our team, and celebrate the fantastic working relationships we have with our clients. 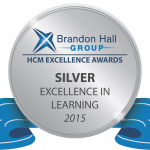 We are incredibly grateful to scoop up five prestigious Brandon Hall Group Excellence awards.” said Arturo Schwartzberg, SweetRush Chairman / Co-Founder. Every solution we deliver is infused with creativity. Instructional creativity allows us to discover effective and unique solutions to our clients’ challenges. Artistic creativity spurs us to create visually exciting, engaging user experiences. Technical creativity allows us to embrace new capabilities and platforms as they emerge, such as gamification and mobile delivery. We apply the creative lens to all things, from project management to how we treat our teammates, clients, and the planet.